Rosa, nationally recognized as a leading Agenda 21 expert, walks the reader through the entire program, from inception to the culmination of its presence in our communities! Learn the catch phrases, the methodss for program implementation, the Delphi Technique, Communitarianism. She exposes them! But be forewarned: It's ALL here. After reading this book, you'll either be totally aware...or in denial! • What is Agenda 21? The Review Panel is Commission-based and has a vested interest in keeping the prices high. Find a local group or meeting in your community that is discussing and teaching Agenda 21. Learn their tacticts and how to raise awarements, even stopping it in your community. Be a PATRIOT...Keep your rights! 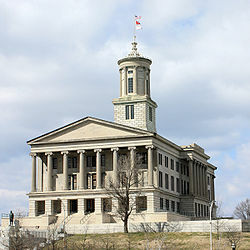 Woody's NOTE: Before we get off too deep into AGENDA 21, let's look at some recent developments to confirm our perspective: The Tennessee General Assembly recently passed HJR587, citing Agenda 21 as a bad practice for the State. TN Governor Haslam has refused to sign it, probably because he was instrumental in buying into and signing on to Agenda 21 programs and initiatives as Mayor of Knoxville, TN. In the final week of May 2012, Governor Bentley of Alabama signed SB477, known as the Anti-Agenda 21 bill...and other resistance is growing around the United States. My point here is that the threat of Agenda 21 is real. I've experienced it myself, in Tennessee attempting to sell our water rights for COMMUNITARIANISM - what's good for the mass, rather than following the rule of law. On face value, many of the premises of Agenda 21 sound reasonable, if not justifiable. However, when they are implemented into law, and become mandatory regulations - rather than optional goals - the only result is that we, as Americans, lose our RIGHTS to Property Ownership, Water, and Individual Freedom. That point seems to be lost on many Agenda 21 supporters who criticize the opposition as "conspiracy theorists." However, it's not a conspiracy if the threat is real. And this threat is documented...and real. The following information was prepared by Laurie Day. Her contact information follows. The birth of the term “sustainable development” was introduced to the world in a report called, “Our Common Future”, produced by the United Nations in 1987 by their World Commission on Environment Development which was authored by Dr. Gro Harlem Brundtland, who was the Vice President of the Worlds Socialist Party. The birth of the term, sustainable development was first offered as a “policy” at the 1992’s Rio Earth Summit in a document called, “UN’s Sustainable Development Agenda 21”, now simply referred to as “Agenda 21”. At this Earth Summit, 178 nations signed on to adopt Agenda 21 as an official policy. Each nation pledged to adopt the goals of Agenda 21. “President's Council on Sustainable Development” (# 12858) with a stated goal to, “harmonize” US environmental policy with UN directives. The real directive of this executive order was to direct ALL federal agencies to work with state and local governments in a joint effort to “reinvent” government using the guidelines in Agenda 21.The President’s Council on Sustainable Development operated through 1999, but its actions to promote sustainable development have taken root and now exert an ever increasing influence in communities across America. How is sustainable development carried out in local communities? boards” but it’s imperative to know they are not elected officials! Sustainable development projects are often initiated at the directive of NGO’s (Non-governmental organizations) or non-profit organizations as they create fear over problems that are portrayed as a crisis. Some examples of this are: Farm land being developed, urban sprawl, poor water management, wildlife preservation or traffic congestion or traffic/road related issues. Once a problem has been identified, every NGO, non-profit, and local government body has a vast stock of sustainability development solutions ready at the helm, provided by the ICLEI (International Council for Local Environmental Initiatives). They are the jackpot of solutions for change agents- enabling them to“identify” problems with the goal of implementing predetermined outcomes that advance sustainable development policies. What does all this mean, in simple terms? It means that most local communities have in place a nonelected board that can see opportunity with your land, create a crisis with the backing of NGO’s and enforced by federal agencies that are then able to deem land unusable for you, the citizen, but usable for their agenda of sustainable development, aka: LAND GRAB. ICLEI, the International Council for Local Environmental Initiatives, launched in 1990 at the World Congress of Local Governments for a Sustainable Future, is based in Toronto, Canada but has offices around the world. They were instrumental in the development of Agenda 21, having drafted chapter 28, in 1991 in preparation of the World Summit. Essentially, ICLEI claims knowledge of all sustainability issues whether in Stockholm, Boulder or Santa Cruz. Around the world, ICLEI is responsible for communicating with local special interests to translate international policy objectives into local and regional legislation. Every state in America now has sustainable development directives guided by federal agencies, NGO’s and/or ICLEI. The money source for the implementation of sustainable development is impressive. American taxes fund the federal agencies involved and over 2000 NGO’s are given massive tax advantages by the IRS. Chattanooga, Cookeville, Franklin, Gatlinburg, Hamilton Co., Knoxville, Memphis, Nashville, Oak Ridge, Signal Mountain. Over 600 cities in the US are members. DID YOU GET THAT?!? READ IT AGAIN. THAT STATEMENT IS AT THE HEART OF THE AGENDA 21 PHILOSOPHY AND INITIATIVES. Important to mention here regarding the rural council Executive Order is that in no place in it does it even mention the farmer. The rural council has the full backing of 25 federal agencies at its disposal. ~ On Friday, August 19th, 2011, Agriculture Secretary Tom Vilsack announced that the USDA has signed an agreement with Rockefeller’s Council of Foundations to, “provide new sources of capital, new job opportunities, workforce investment strategies and identification of additional resources.” The group will work with Obama’s newly created Rural Council, which Tom Vilsack also chairs. Again, this agreement is fully about agriculture & rural America but nowhere does the word rancher or farmer appear. This announcement came while the secretary was hosting a White House Rural Forum at the Iowa State Fair, during the time the President was on a Rural Tour. ~ A short list of what is deemed unsustainable by these initiatives: grazing of livestock, ski resorts, plowing of soil, building fences, industry, single family homes, paved and tarred roads, logging activities, dams & reservoirs, power line construction and economic systems that fail to set proper value on the environment. As established by the UN’s Biodiversity Assessment Report. In an attempt to abridge all of the information I have gathered through hours upon hours of research pertaining to Agenda 21, I find it hard to leave off here as there are so many other connections that can be presented. This topic is at a point where one must look into the subject matter with urgency and with an open mind to find the facts that either deems all of this untrue or to start to take immediate action to fight against this tyranny. I challenge everyone to read into this subject for themselves and hopefully I have at the very least, given you some places to start. Hopefully too, it should not need to be mentioned that this agenda goes against everything our American foundation and laws are built upon, for if we need spend too much time explaining that, we even have bigger problems than this research suggests. If anyone would like to share their findings or would like further information on my research, I welcome your call. There is a national coalition gathering in regards to Agenda 21 which has put together a list of solutions that our state and federal representatives need to start to respond to. This information can be emailed directly to each and every legislator but we must educate our government officials about Agenda 21 as there seems to be a large number that have no idea about this topic. We must demand attention in regards to all powers our government has been granted in cutting the ties with the United Nations. This can be implemented through the states 10th amendment rights as well as on a national level through congress and the money trail that is attached to these particular agencies and NGO’s. To find out if your county or town is involved with any of these types of activities in regards to sustainable development, start with you local mayor and city council. Attend city council meetings and start to listen. Be educated about the topic first and begin to ask questions that pertain to the local level and not the United Nations. Your local officials will know of industrial boards, NGO partnerships, non-profits ECT. in the area that may have their fingers in community decisions but they may or may not see the higher connections. Know that generally, officials are lured by“grants”. It needs to be unraveled a piece at a time so be educated and involved in knowing what is going on with your local government and question any activity that is represented by non-elected "officials”. Youtube (category agenda 21) A whole list of youtube addresses is available.